Acne is a skin condition that affects adults just as it affects teens. If it gets too severe, it can leave lasting scars that may last a lifetime. Our specialist team of Dermatologists and skincare experts at Atlantic Dermatology and laser, treat teens and adults living in Atlantic seaboard, Cape Town, as well as the surrounding areas, dealing with acne to help control it and diminish the appearance of breakouts. 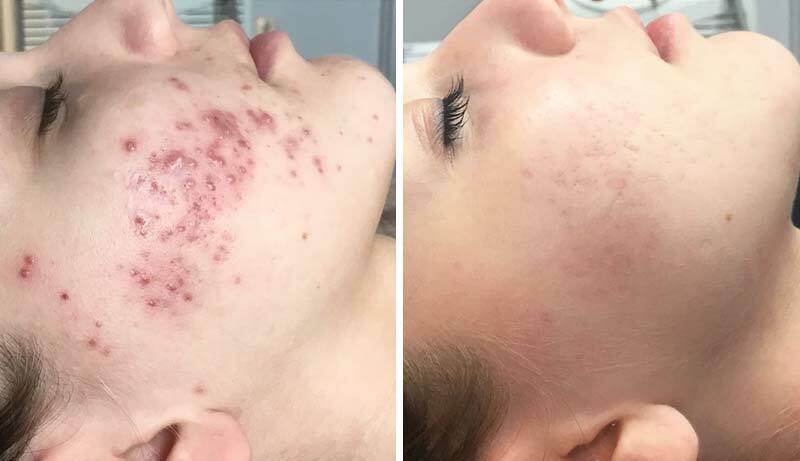 There are many acne treatments on the market that target breakouts by penetrating the pores in the skin and removing excess oil, dirt, and bacteria, decreasing the chances of reoccurring pimples. Most acne treatments prescribed by Dermatologists are topical solutions and ointments that effectively treat this common issue. For those with more severe problems, oral medications and laser therapy are used to achieve successful results. Topical and oral medications are typically prescribed then applied or taken at home according to the directions. For laser therapy, it is important to avoid direct sun exposure prior to your treatment as well as stop taking any blood-thinning medications or supplements that may hinder the healing process. During a consultation for laser treatments, we provide you with the necessary serums and moisturizers to prep the skin. 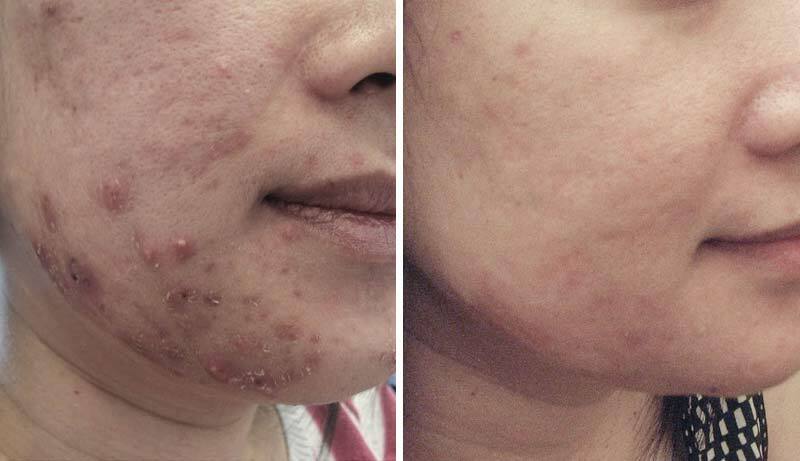 In-office acne treatments take place where laser treatments and chemical peels are used. This involves using laser energy on the affected areas to remove damaged skin. These laser treatments also stimulate collagen production, which in turn boosts new skin growth. As for topical and oral treatments, they are prescribed and typically handled at home. It is important to follow the directions for taking or applying the acne treatment. Many prescription treatments have successful results with acne, especially when combined with the appropriate skin care products for acne prone skin. Depending on the selected acne treatment, the results take some time as the current breakouts must clear up and future breakouts become less severe. As for laser treatments, the treated skin must heal, and new skin must take over. 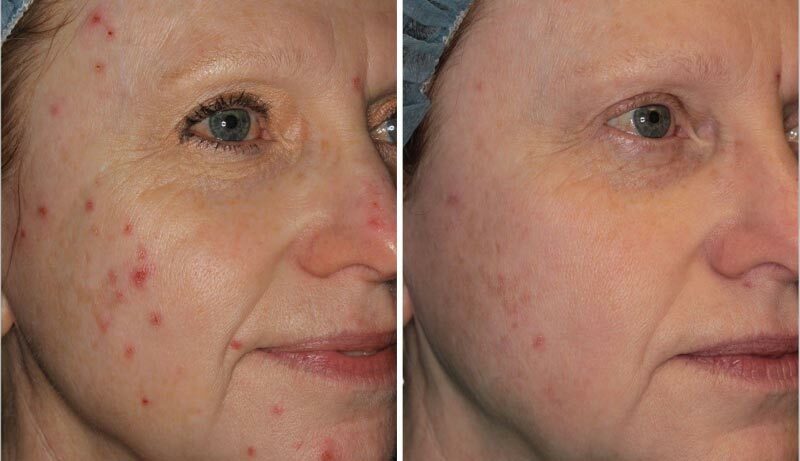 Following acne treatment with laser treatments, the treated area may have slight redness that takes a few days to dissipate. There may also be some slight flaking as the redness diminishes. Once these issues resolve themselves, the skin starts to look smooth and clear.